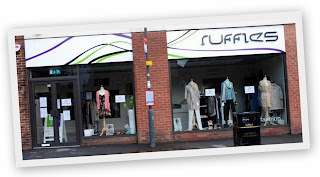 Ruffles is a friendly, independently owned Ladies Fashion Boutique which offers beautiful, contemporary, exciting fashion and accessories to customers and fashionistas in Kenilworth and the surrounding areas of Warwickshire and the West Midlands. The boutique, which can be found in Kenilworth, on the corner of Warwick Road and Randall Road, opened at the beginning of October 2009 and has become a firm favourite with Ladies looking for something special to wear whatever the occasion. The boutique offers an extensive range of fine and beautifully designed clothes and accessories including fashion jewellery, shoes, handbags and belts, all individually and personally chosen by the boutique director Carole Barratt and which will suit all ages, pockets and occasions. With the cool and contemporary clean lines of the boutique, Ruffles offers a truly relaxed shopping experience (even for the guys) from Monday though to Saturday each week (excluding Bank Holidays). Carole and her staff are always on hand to help and advise customers to find the perfect look, whether its for day to day wear or perhaps something a little more special. At Ruffles be inspired, stay ahead and be at the fore front of the latest seasons fashions. With stylish and trend setting collections from French Connection, DAY Birger et Mikkelsen, Northland, Charli, Yumi, By Malene Birger, 7 for all mankind, Hoss Intropia as well as introducing a number of new local designers. Complement this with shoes from J Shoes and Irregular Choice, fashion jewellery by Envy, About Face and De Riz and handbags and belts from Angel Jackson. 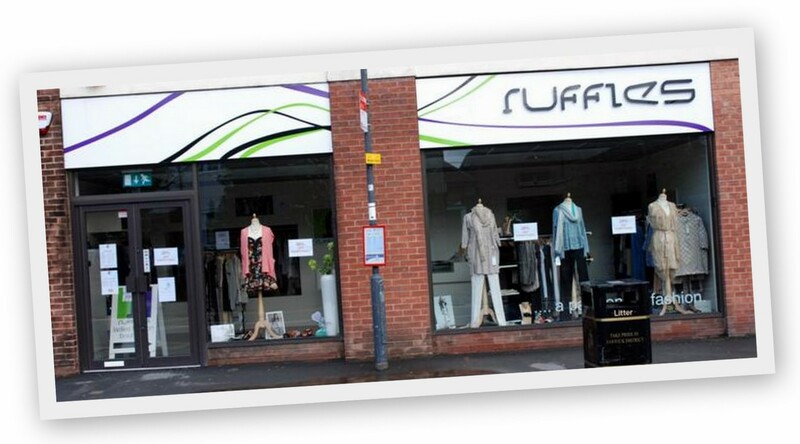 With fantastic new stock arriving and wonderful new brands being added on a regular basis, Ruffles, is the local Kenilworth, independently owned Ladies Fashion Boutique to visit and where to definitely share 'a.... Passion for fashion'.